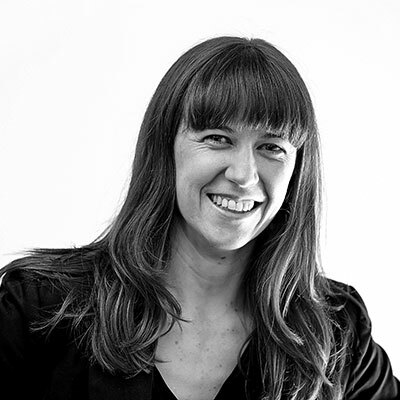 Geraldine is researcher at the Centre for Enterprise and Economic Development Research, Middlesex University Business School, focusing on sustainable business model innovation and the circular economy. She is part of the ESRC Centre for the Understanding of Sustainable Prosperity (CUSP), an international academic-industry network elaborating visions and exploring possibilities of prosperity. In particular, she is working on the role of alternative models of enterprise and alternative investment strategies in the P-Theme of CUSP’s MAPSS Framework which explores the politics and organizational dimensions of sustainable prosperity. Geraldine’s research interests include the impact of power and organizational influence on sustainable value creation opportunities; social and sustainable entrepreneurship, the interface between business ethics and strategy, systems change and interdisciplinary research for sustainable development. Geraldine’s PhD explored how invisible flows like power and influence impact resource flows and sustainable value creation opportunities in a UK sustainability pioneer’s business ecosystem. This research was funded by the EPSRC Centre for Industrial Sustainability, a multi-university academic-industry consortium and Climate KIC, the EU’s main climate innovation initiative, funded by the European Institute of Innovation and Technology. In 2015 Geraldine was awarded the international Green Talent Award from the German Ministry of Education and Research (BMBF) which recognises early stage career interdisciplinary researchers in sustainable development. She holds a Visiting Research and Lecturer position at the Centre for Environmental Policy, Imperial College London and from 2004-2017 she was a director of a volunteer-led Irish not-for-profit, AidAfrica Ireland, which supported children affected by HIV and Aids in South Africa. the potential of the Internet of Things (IoT) in enabling Closed-Loop Supply Chain (CLSC) business models. the conditions under which product-service-system (PSS) business models can contribute to creating circular clothing systems. Interim Programme Manager (London) - The Journey – Climate Change MSc Entrepreneurship Summer School (2016), Climate KIC UK & Ireland. Introduction to Strategy Lecture Series (Spring 2016), MSc Environmental Technology, Business & Environment Option, Imperial College London. Industrial Ecology & Circular Production Frameworks (2014), BSc Biology – Resource Management, Imperial College London. Introduction to Business Model Innovation & Business Model Canvas (Spring 2012-2016), MSc Environmental Technology, Business & Environment Option, Imperial College London. Introduction to Project Management (Spring 2013-2016), MSc Environmental Technology, Imperial College London. Workshop exploring Resources, Power and Value Creation in the Context of the Circular Economy, EPSRC Centre for Industrial Sustainability Conference 2016, Cambridge, U.K.
Brennan, G., and Tennant, M. (2015) Exploring the impact of power-dynamics on sustainable value creation in a business ecosystem, Global Cleaner Production & Sustainable Consumption Conference, 1-4 November 2015, Spain. Weissbrod, I., Brennan, G., and Morgan, D. (2015), Insights into how to influence systems change whilst creating system change knowledge: a case study of an academic-industry consortium researching industrial sustainability, Conference proceedings of Global Cleaner Production & Sustainable Consumption Conference, 1-4 November 2015, Spain. Brennan, G. (2015). Exploring the role of social dynamics in sustainable value creation Academy for Business in Society (ABIS) Global Sustainability Strategy, Colloquium 2015, 19th-21st October 2015, Milan, Italy. Brennan, G. and Tennant, M. (2015). Extending the Circular Economy: Organizational Influence (Conference poster). International Society of Industrial Ecology Biennial Conference: Taking Stock of Industrial Ecology 2015, 7th-10th July 2015, Uni.of Surrey, U.K.
Brennan, G. (2014). Business Models for Sustainability: Informed by Ecosystem Concepts. 34th Strategic Management Society (SMS) Annual International Conference: Strategies for a Networked World. 20-23rd September 2014, Madrid, Spain. Blomsma, F. and Brennan, G. (2014). Circularity Thinking: Circular Economy, Performance Economy, Cradle to Cradle and Blue Economy as Building Blocks for Business (Conference poster). Gordon Research Conference on Industrial Ecology: Transforming the Industrial Metabolism. Lucca (Barga), Italy. Brennan, G. and Blomsma, F. (2014). Making sense of Industrial Ecology (IE): enabling businesses to critically apply the concept of "waste=food" at multiple scales - 'Flow versus Organization’- (Conference poster). Gordon Research Conference on Industrial Ecology: Transforming the Industrial Metabolism. Lucca (Barga), Italy. Brennan, G. (2013) A business ecosystem approach to business model innovation – a strategy for systems change? ETH PhD Academy on Sustainability and Technology 2013: Addressing Ecological Sustainability: A Matter of Stakeholder Management and Competitiveness. June 2nd – 7th, ETH Zurich Department of Management, Technology and Economics (DMTEC), Zurich, Switzerland. Urban Business Models - Exploring business models in the urban environment with a focus on sustainability, circularity and inclusivity, leading to hybrid forms of collective value creation. Jonker, Jan and Montenegro Navarro, Naomi and Brennan, Geraldine (2018) Urban Business Models - Exploring business models in the urban environment with a focus on sustainability, circularity and inclusivity, leading to hybrid forms of collective value creation. Radboud University Nijmegen, Netherlands. Brennan, Geraldine (2018) Urban Business Models: Exploring business models in the urban environment which focus on sustainability, circularity and inclusivity, leading to hybrid forms of collective value creation. Project Report. White Paper Radboud University Nijmegen. (2017-19) Regional Growth Fund: Impact and Economic Evaluation, for BEIS (with IFF Research and Belmana). (2016-) ESRC Centre for the Understanding of Sustainable Prosperity (CUSP.ac.uk) led by the University of Surrey. (2017) Dutch National Survey on Business Models for Circular Economy, for Stichting OCF, The Netherlands. (2015) German Federal Ministry of Education (BMBF) Green Talents Award, International Forum for High Potentials in Sustainable Development. (2015) Invited participant at Coca-Cola Enterprises GB Academic Roundtable: Future of Sustainable Manufacturing (24/03/2015). Milton Keynes, UK. (2013) Blog: The Closed-Loop or Circular Economy. CEP, Imperial College London, U.K.
(2013) Webinar on the Circular Economy. EPSRC CIMIS, U.K.